This fall season has been unseasonably warm, even well into October. 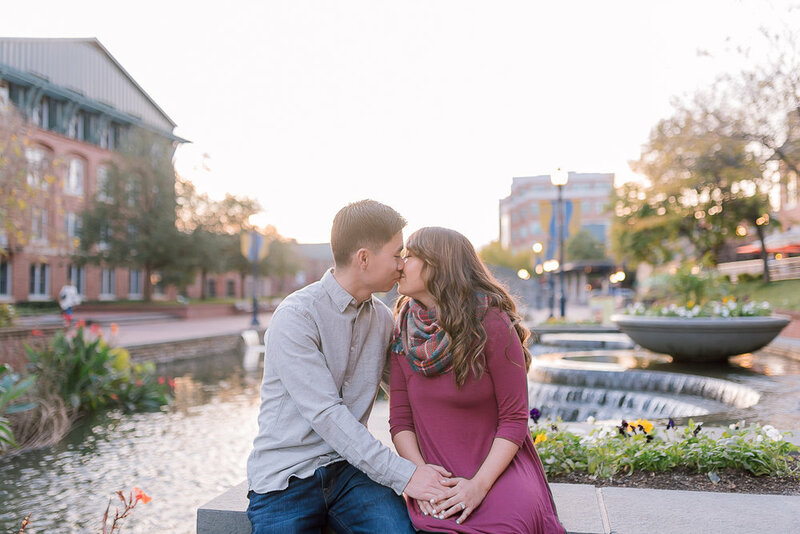 I had the best time photographing the engagement session for Carmen and Steve at Downtown Frederick and Baker Park. 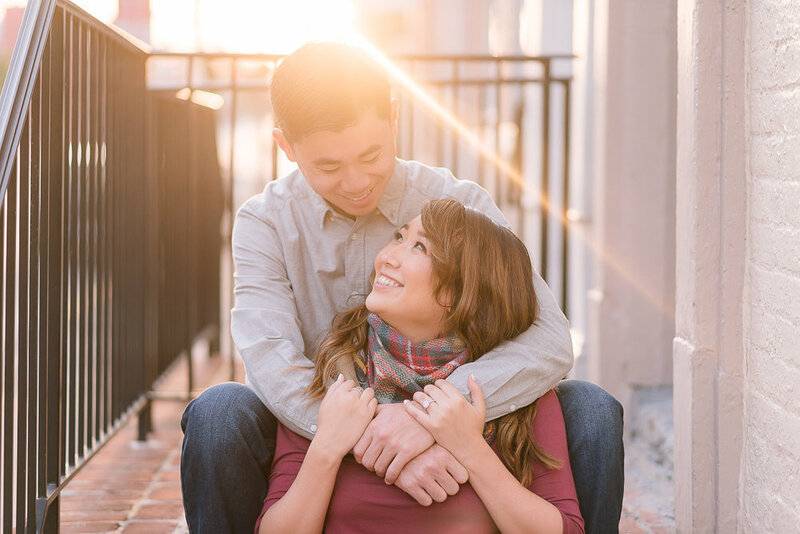 Between the beautiful facades of numerous historic building, to the gorgeous area by the Carroll Creek, I can't tell you how many times I had to stop and grab a shot of Carmen and Steve throughout the session, and it might just become my new favorite spot! Carmen and Steve met through mutual friends, and Steve knew that Carmen is the one and decided to ask Carmen for her forever after just a couple years of dating. Steve planned to proposed at the beach and set up a camera to capture the precious moments, while pretending to be taking a selfie with Carmen. And of course, it didn't go exactly as planned since the camera wouldn't respond to the remote and it almost ruined the moment! 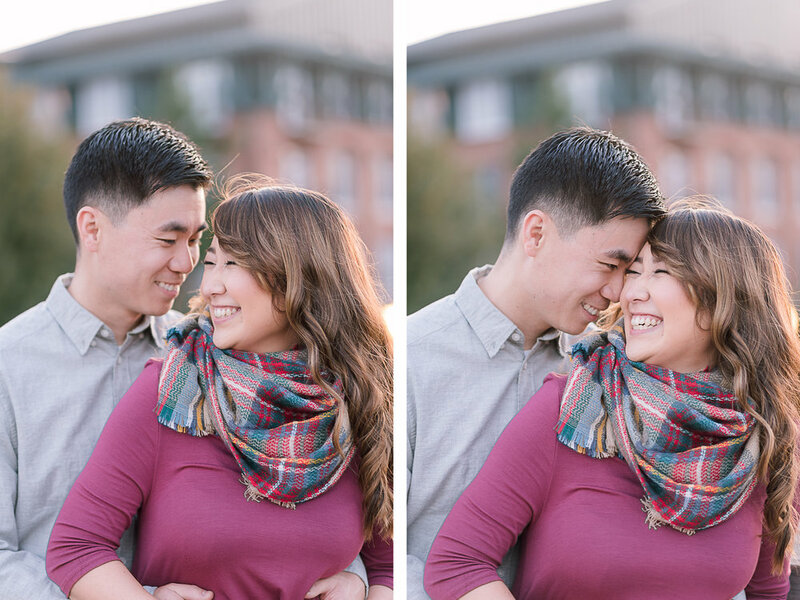 Nonetheless, Carmen knew Steve's heart of gold and said yes to life forever with him! For their session, Carmen had her makeup done by Amola Surya of Empowder before her session. 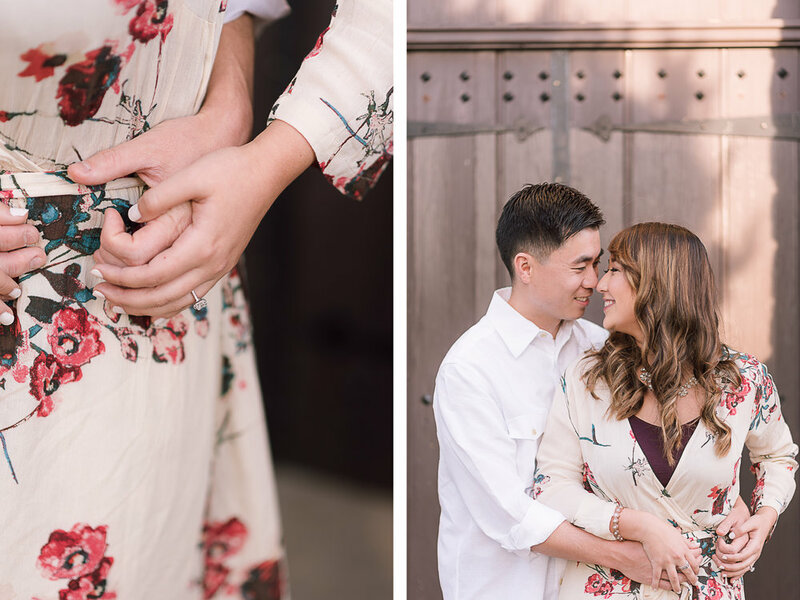 Along with her flowy cream-colored dress with flowers accents and a bouquet put together by herself, everything was absolutely gorgeous for a fall engagement session! We strolled around the beautiful Baker Park, and then walked around the quaint downtown Frederick. Their smiles and the way they look at each other are so sweet, especially when Steve did his favorite pose - the noses touch! Thank you for such a beautiful session, Carmen and Steve! I can't wait for your wedding next year!